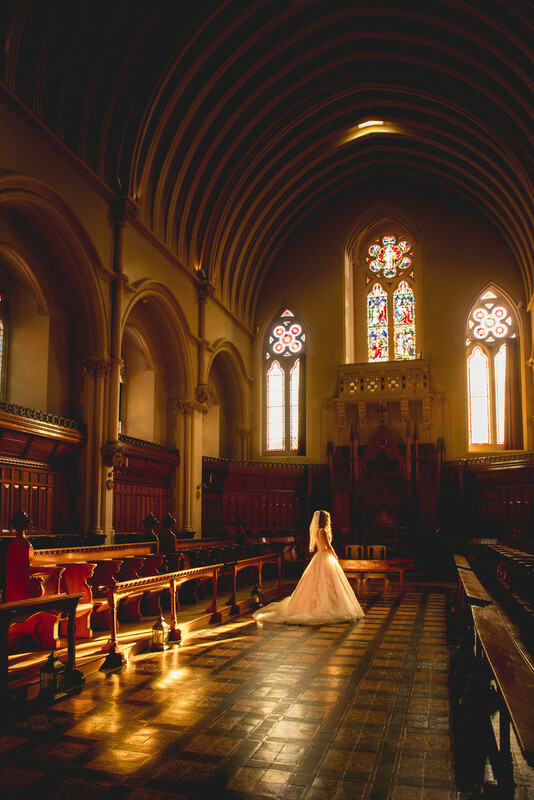 I love this stunning wedding photo from a recent Stanbrook Abbey wedding. The best thing about it is, we happened upon this incredible light pretty much by chance alone. 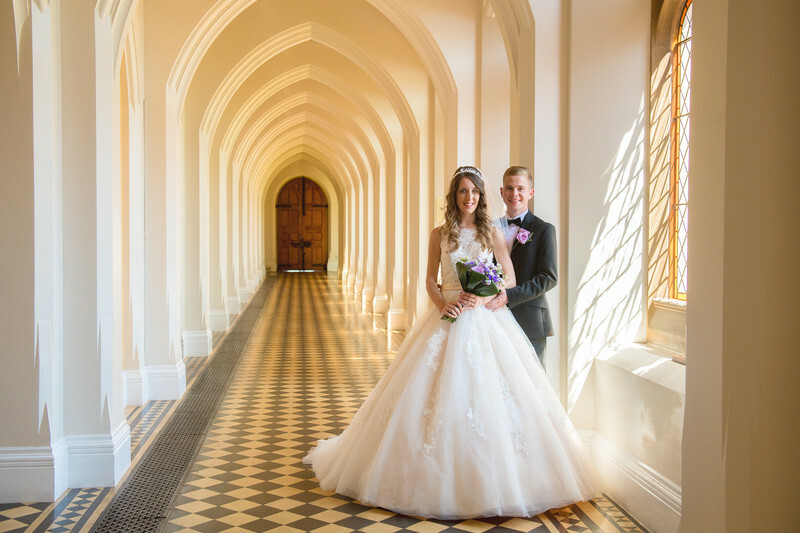 The weather for Rebecca and Ryan's Stanbrook Abbey wedding, to say the least, was hot. The midday summer sun was sweltering and it was too hot and too bright to take many photos in direct sunlight. We took some lovely images in open shade of the bride and groom, careful not to blow-out the detail on the bride's wedding dress, and I had taken the group photos at the front of the hotel using off camera lighting in order to better manage the contrast. The couple got married in late June, a couple of days from the summer solstice, so I knew that we'd have workable light until about 9:30pm, and as the forecast for the day looked good, we decided that we'd take the remainder of the couple's photos after the wedding breakfast. Later in the day, the outside temperature had cooled and with the sun lower in the sky, the light was more flattering and easy to work with. We had just finished the photo below when we were moving through the Worcestershire wedding venue towards the secluded lake that's a well hidden secret. As we were walking through the Callow Hall, chatting away, this beam of pure gold light came through the uppermost windows of the hall, and we just couldn't ignore it. I took a series of photos of the bride and groom together, which feature in the couple's wedding album (an online version of this can be seen by clicking here) and then wanted to take a photo of Rebecca on her own, really showing off her stunning A-line wedding dress in this quite incredible light. I stood the bride directly in one of these beams of light that was entering the hall, and her wedding dress lit up with the intensity of the light. In order to correctly expose for the brightness of the dress, I had to use settings that would seemingly plunge the rest of the hall into darkness, but that only works to better focus your attention on the bride in this image. For a freak encounter and coincidental timing, I think we did pretty well with this photo!